Ben is a Senior Associate in the Dental Negligence Team. He is a dental negligence specialist and deals with a wide variety of claims for patients who have experienced substandard dental treatment. Ben has expertise in all areas of dental negligence, but he has particular expertise in cases involving failure to diagnose oral cancer. He also specialises in substandard restorative dentistry and paediatric dentistry cases. 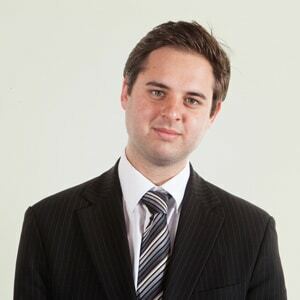 Ben works closely with, and provides supervisory support to, other members of the Dental Negligence Team. "After having experienced poor dental care resulting in much unnecessary pain over a prolonged period I was resolute in finding a medical negligence firm able to help me obtain redress. I was fortunate in selecting Withy King who appointed Mr Ben Lees to look after my case. From the start Ben was efficient, friendly, supportive, and responsive in helping me shape my claim. Ben soon earned my trust and has led me to a successful outcome. I am extremely grateful to Ben and the Dental Negligence Team for their kindness and professionalism during this difficult time"
Ben has dealt with dental negligence cases for many years, having worked at a large national firm prior to joining the Dental Negligence Team.